Have students write a movie review about a movie that was made from a book! With the Movie Review Grammar & Writing Activity, students will tap into their inner movie critic and write a 250-word review that compares and contrasts the book with the movie. 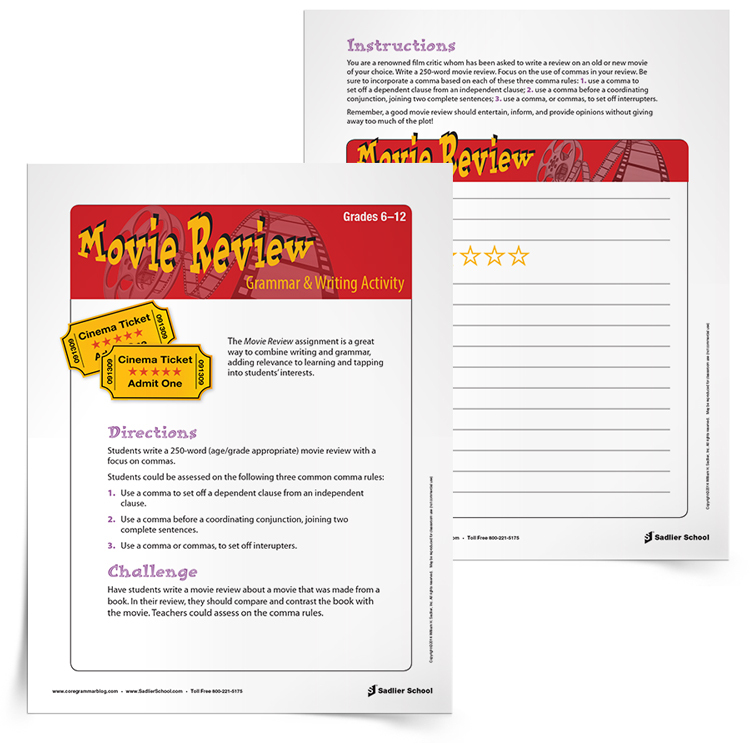 Fill out the form to download the Movie Review Grammar & Writing Activity now!